Six items. 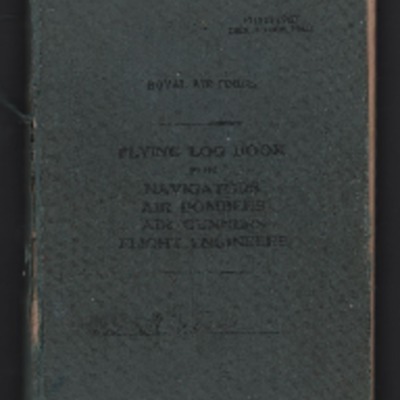 The collection concerns Richard Vipond (3040603, Royal Air Force) and consists of his log book, service documents and photographs. 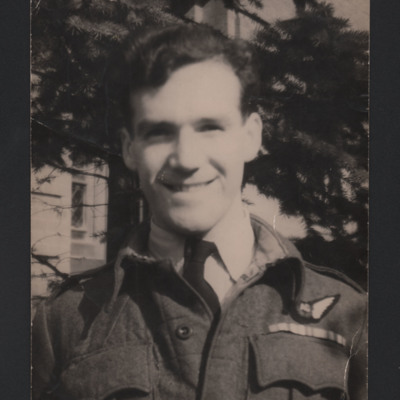 He flew operations as an air gunner with 514 Squadron from RAF Waterbeach. 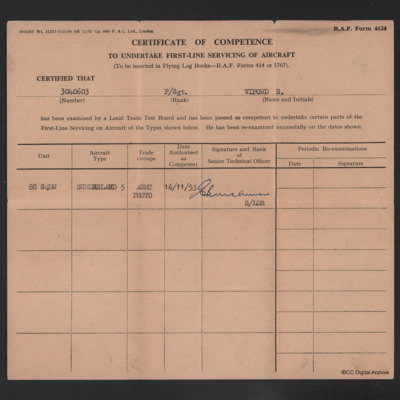 The collection has been loaned to the IBCC Digital Archive for digitisation by Pauline Ponsford and catalogued by Barry Hunter.